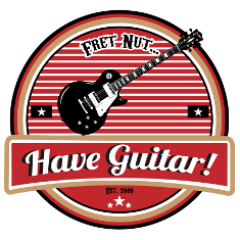 Celebrate Archives - Fret nut... Have Guitar! Well, it’s that time of the year so I just wanna wish you all a “Merry Christmas”! Thanks for the past year and for all the sub’s to Have Guitar! 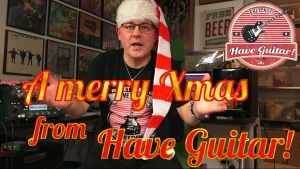 Merry Christmas from Have Guitar! Author adminPosted on December 24, 2017 December 24, 2017 Categories CelebrateTags fret nut have guitar, Merry ChristmasLeave a comment on Merry Christmas! Yeah, I know… some big youtubers get more than that for one video. For me this a big number, so lets celebrate the occasion with a really good song by Rare Earth – I just wanna celebrate. Cheesy perhaps but it’s still a stompin’ good song and I’m happy for the 250K views! Thanks to all of you who have been watching my vid’s – there’s more to come! Author adminPosted on October 10, 2017 Categories Celebrate, Music VideosTags 250000 views, Celebrate, fret nut have guitar, I just wanna celebrate, Music video, Rare EarthLeave a comment on 250K views…!